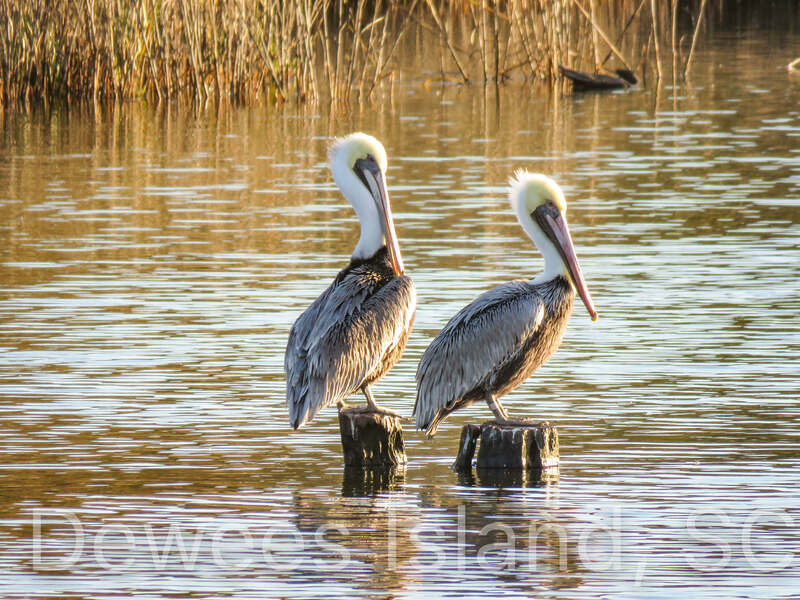 Pelicans are one of the iconic symbols of the Lowcountry, and they provide us with great amusement as well as that surge of joy when we see them soaring in formation. 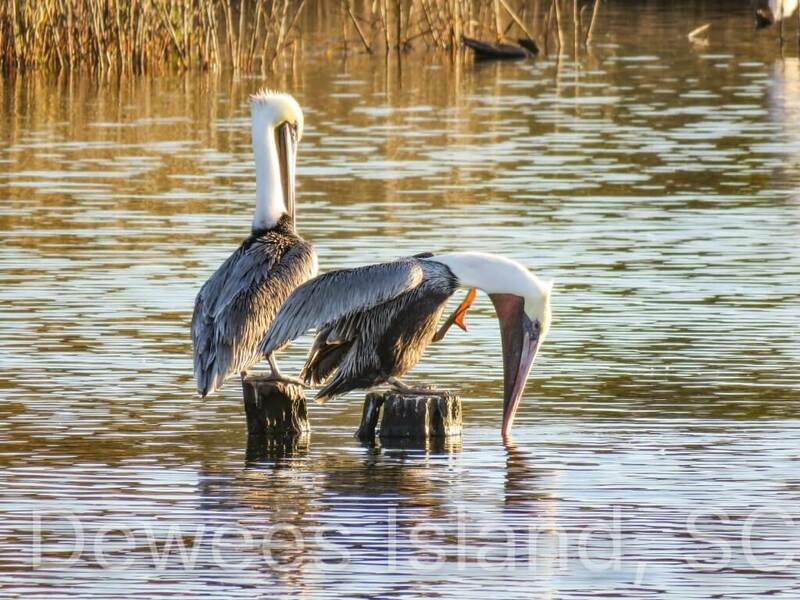 We’ve written about them on this blog several times: from the kleptoparasitism they participate in as both aggressors and victims, to this post with a bunch of facts about them, to assisting with rehab and release, to the sighting of a banded pelican, we really can’t get enough of them. 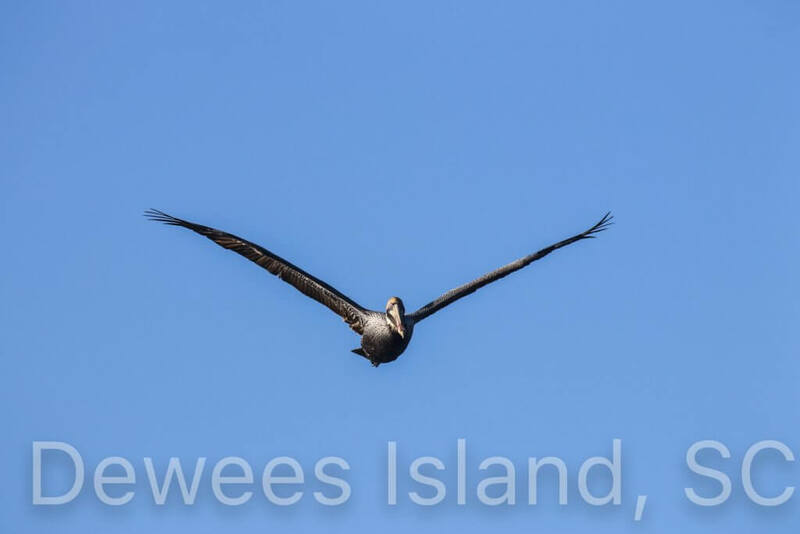 We took that top photo from the rooftop deck of 391 Pelican Flight, where you can watch them soar right by. This morning, I went out to take a look at the ones who are resting and feeding nearby. 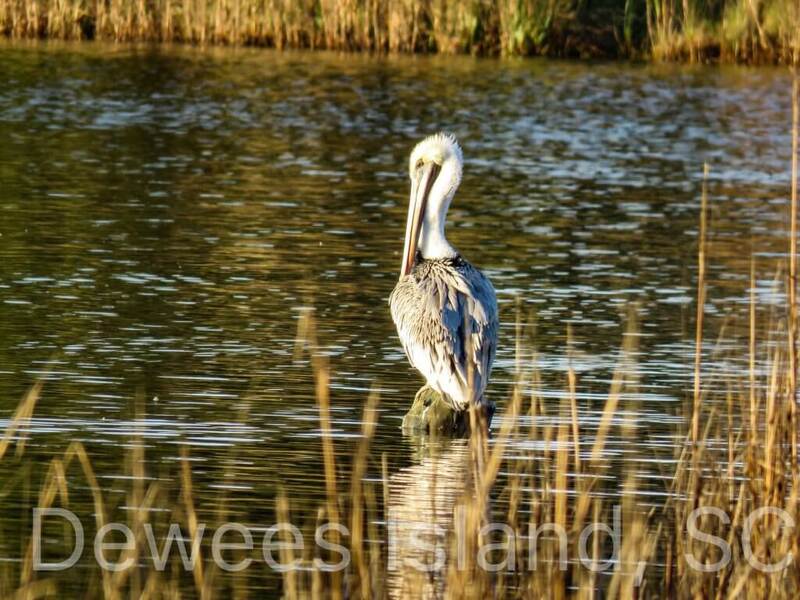 At the corner, there were several perched on low-lying stumps and stones. They were so pretty in the morning light, grooming. It’s not just the Pelicans that count on Crab Bank. 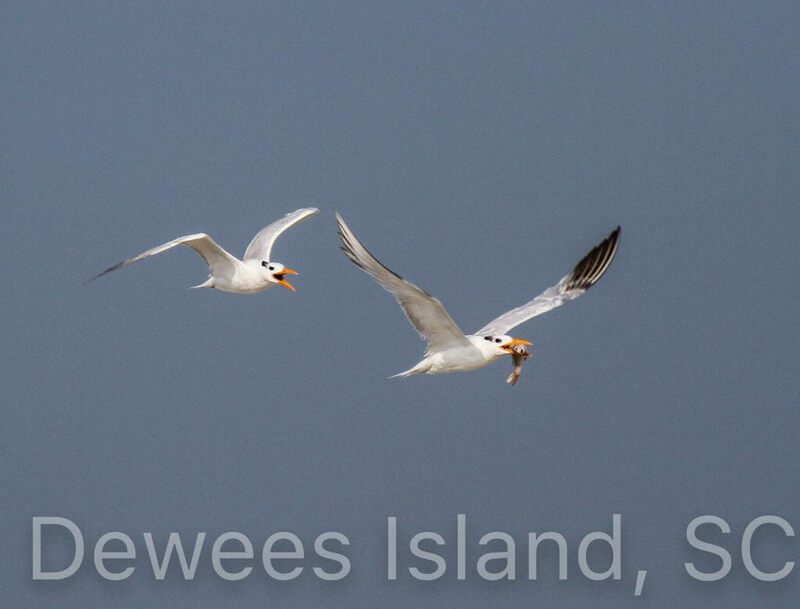 Have you ever noticed that in the summer, the Royal terns carrying fish all seem to be going the same direction? That’s because they’re bringing fish back to nestlings on Crab Bank. 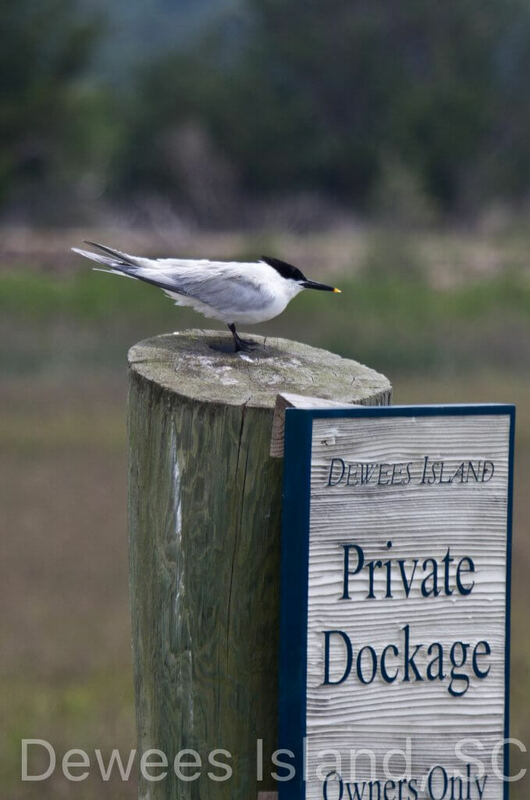 There are only 5 seabird sanctuaries along the entire coast of South Carolina where these colonies exist, and as you can see, many of the birds that call Dewees home in non-breeding season really depend on that nesting ground. 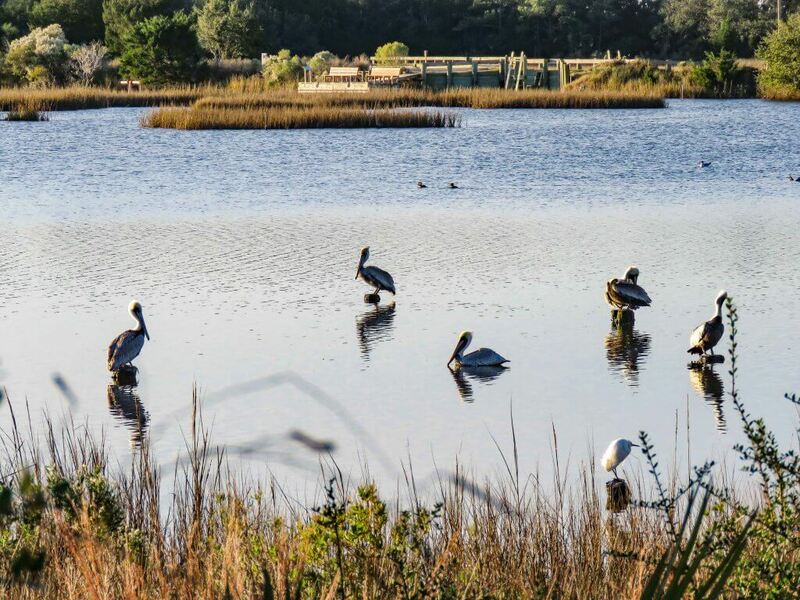 Chris Crolley, owner of Coastal Expeditions and fellow SC Audubon advisory member describes this as the conservation moment of our lifetime. 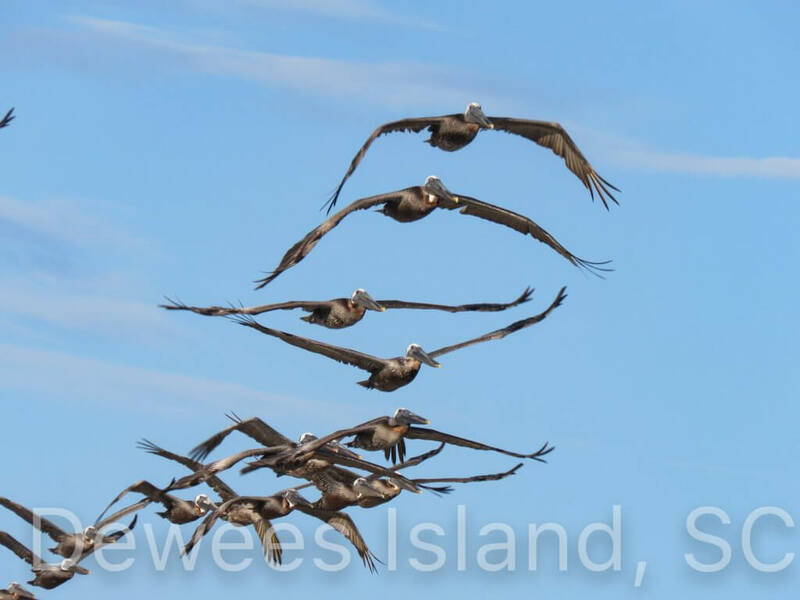 Here is a video that shows the birds actually nesting on the island: it is incredible footage uploaded to youtube in 2011 by Dakota Walker. When I spoke with Nolan yesterday, the project was within $276,360 of the goal of $1.4M, due to some corporate sponsorship. Every little bit helps, and time is running out. Island friends Mary Pringle, Mary Alice Monroe, and Mary Edna Frasier sent out a letter yesterday urging donations: if you don’t want to donate online, they have a group called Barrier Island Neighbors for Crab Bank. Below is a photo of one of our Audubon banders Jenny McCarthy Tyrell raising awareness and a video of a fundraiser and awareness paddle out to Crab Bank. You can donate directly through SC Audubon here, or donate here at the Post and Courier Site, or mail a check to Mary Pringle’s group. 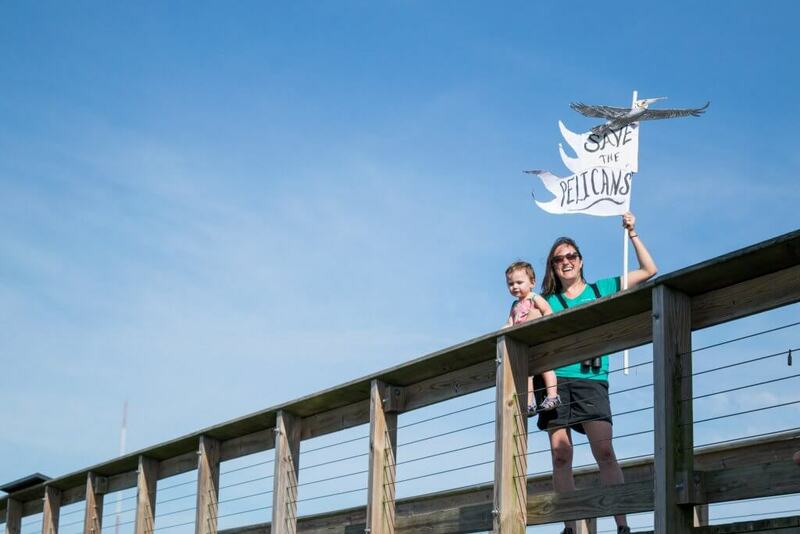 All donations will support the critical needs of our coastal birds including habitat protection and restoration, nesting success, and community education. as charter members of SINCB; 501c3 in process.